NASHVILLE – June 4, 2018 – With only two days to go before the big night, the “2018 CMT Music Awards” announced today the list of presenters featuring everyone from music industry icons to sports legends and Hollywood stars. The A-list roster includes Backstreet Boys, Bobby Bones, Brett Young, Carly Pearce, Chrissy Metz (“This Is Us”), Cody Alan (Radio and TV Personality), Courtney Force (NHRA racing), Dustin Lynch, Garrett Hedlund (“Mudbound,” “Country Strong”), Hoda Kotb (“NBC’s TODAY”), Joel McHale (“The Joel McHale Show”), Johnny Knoxville (“Action Point”), Kaitlin Doubleday (“Nashville”), Katie Cook (TV personality), Lauren Alaina, Leon Bridges, Lennon Stella (“Nashville”), Lindsey Vonn (US Ski Team), Luke Combs, Maisy Stella (“Nashville”), P.K. Subban (Nashville Predators), RaeLynn, Rascal Flatts and Sugarland. 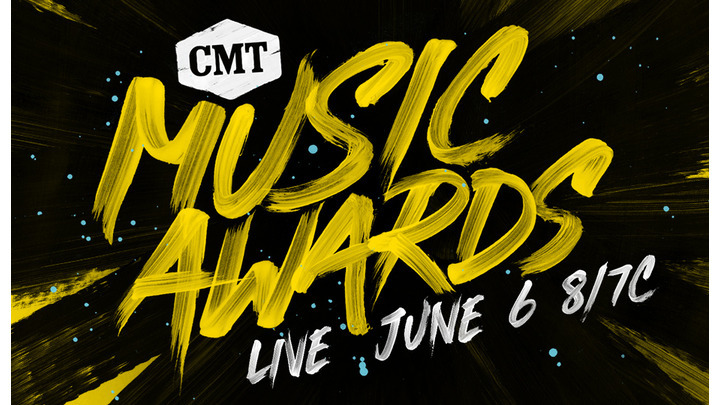 The “2018 CMT Music Awards” will premiere LIVE from Nashville’s Bridgestone Arena on Wednesday, June 6th at 8:00 pm ET/ PT. Country music’s loudest night will be hosted by three-time nominees Little Big Town, who willalso join the list of knockout performers including Blake Shelton; Carrie Underwood; Chris Stapleton; Dan + Shay; Darius Rucker featuring Jason Aldean, Luke Bryan and Charles Kelley; Dierks Bentley featuring Brothers Osborne; Florida Georgia Line; Jason Aldean; Kelly Clarkson; Kelsea Ballerini; Luke Bryan and Sam Hunt. Breakthrough artists Carly Pearce, Devin Dawson, LANCO, Lindsay Ell, Russell Dickerson and Walker Hayes will perform on the Ram Trucks Side Stage. The “2018 CMT Music Awards” nominations announcement made history, as pop sensations Bebe Rexha, with her record-breaking, chart-topping collaboration “Meant to Be" with Florida Georgia Line, and Justin Timberlake, with “Say Something” featuring Chris Stapleton, received first time nods for the highly coveted “Video of the Year.” The additional lineup of country stars vying for the title include Blake Shelton, Brett Young, Brothers Osborne, Carrie Underwood featuring Ludacris, Dan + Shay, Jason Aldean, Kane Brown featuring Lauren Alaina, Kelsea Ballerini, Luke Combs and Thomas Rhett. Up for four nominations each, Carrie Underwood (who also currently holds the title of most “CMT Music Awards” wins), Florida Georgia Line and Jason Aldean are tied for most nods.